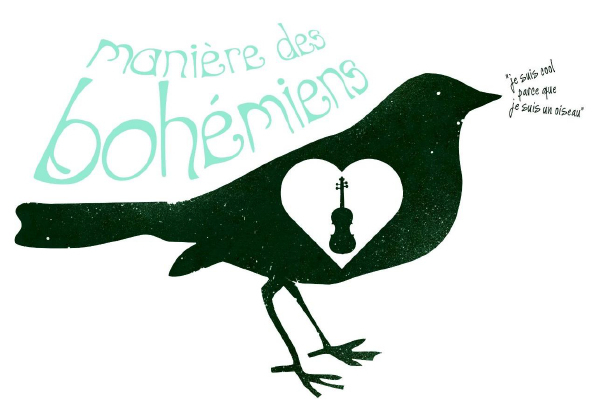 Manière des Bohémiens play improvised Django Reinhardt, Stephane Grappelli influenced Gypsy Jazz and Eastern European swing. They have been entertaining the folks of Nottingham and far beyond for many years with their infectious blend of improvised, manouche jazz and rough-edged, virtuosic eastern-european gypsy-folk music. Gypsy jazz played with the jaunty abandon of a misspent youth and a broken heart arranged for 5 virtuoso musicians playing violin, guitar, sax and double bass. They have made many festival appearances including Boomtown, Port Eliot Literary and Elderflower. They’ve also appeared at Bestival, Camp Bestival, Summer Sundae, Matt & Phreds, Kendal Calling, Limetree, Headstock, Larmer Tree, Towersey Folk and Fire in the Mountain to name a few. They have alos have also played support slots for Jools Holland, Polar Bear and Quantic. They've been played on BBC 6 Music several times and have been included on Tom Robinson's 'best of Introducing' podcast.